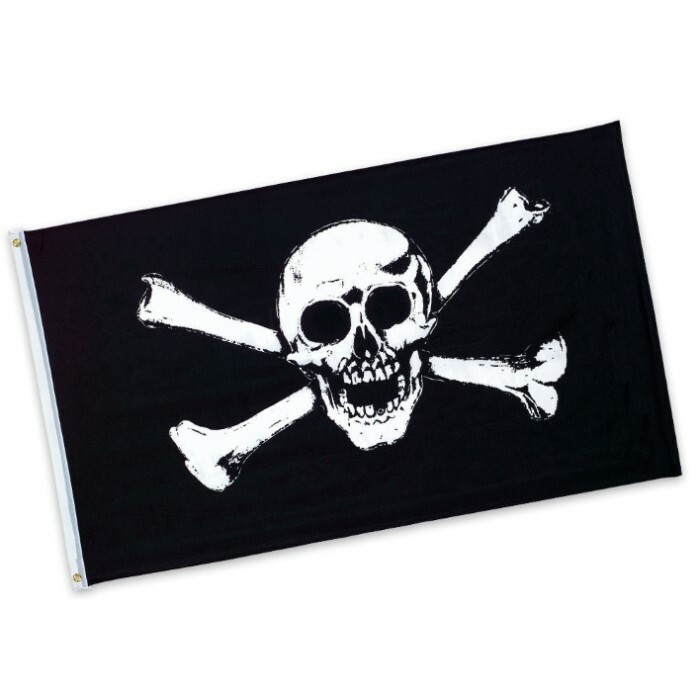 This 3 x 5 polyster flag is guaranteed to keep trespassers at bay. The crimson eyes and menacing teeth will send shivers down your spine. THIS FLAG ARRIVED BETTER THAN EXPECTED. FAIR QUALITY, GOOD SIZE, AND GOOD COLORS. GREAT DECORATION FOR DISPLAY IN KNIFETHROWING ROOM. This is perfect for those times we all have when you feel like slapping on an eyepatch, strapping on a cutlass and looking for a good plank. This is a good nonviolent way to vent those hostile feelings. Flag is well made and delivers a lot of smiles to those who view it fluttering from our flagpole.